BRYAN EATON/Staff Photo. Paulina Brunelle serves lunch of chicken Florentine, angel hair past and steamed vegetables to volunteers Susan Dodge, left, and Joanne Gaynor. 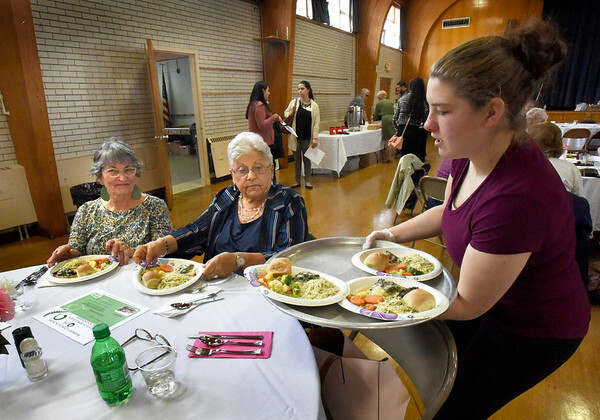 They were at Volunteer and Sponsor Appreciation Luncheon by the Amesbury Council on Aging held at Holy Family Parish Hall on Thursday afternoon.